I set up shop at a healing arts fair over this last weekend, and had the good fortune of being seated next to Suzanne Camin, a professional psychic and medium. As the day pressed on, we wound up swapping services – I threw a 3-card Angel Tarot spread for her, and she gave me a reading. Needless to say, I was blown away. I won’t go into all the details, but let me just say that many of the things she told me explained a lot…feelings about certain things, hunches, and even past-life memories. I have recently come to know that Mary, Mother of Jesus, has been with me for sometime, and Suzanne confirmed that. 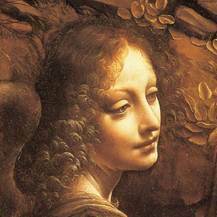 She also mentioned something that I had never suspected, but made a tremendous amount of sense to me: I possess the energy of Mary Magdalene, as well. Suzanne is personable and has an advanced sense of humor! I really enjoyed sitting next to her, and am grateful to the Universe that I met her and was able to glean such information from her and her nearly 30 years of experience. For those in the Austin, Texas area, I highly recommending setting up an appointment with her. If you are not nearby but are interested, I would definitely contact her to see if she can provide a reading for you via distance. She can be found on both FaceBook and Meet-Up.